Decentraland, a virtual reality platform powered by the Ethereum blockchain in which users can create, discover, experience, and monetize content and applications, has today announced a crowdsale for its ERC-20 token MANA. MANA will let users buy and sell virtual real estate, called LAND, and fully immerse themselves in Decentraland’s virtual reality economy. The token sale, which will commence on August 8, 2017, and conclude on August 16, 2017, has a $20 million USD maximum cap and will be followed by a Continuous Issuance stage. “As the virtual reality market continues its rapid growth, we are excited to launch Decentraland, a new virtual economy, where content creators are incentivized and fairly rewarded for their contributions. We believe Decentraland, which enables low cost, direct payments between content creators and users with its native token MANA, will radically change e-commerce and online content distribution. 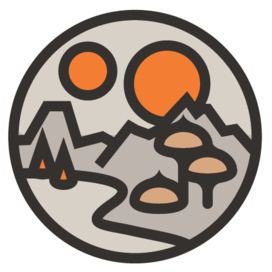 Decentraland has constructed financial incentives to help bootstrap the utility value of the network. Contests for creating art, games, applications, and experiences, will be held on in the world, encouraging content creators to compete for MANA by growing Decentraland’s in-world offerings. In addition, new users will also be assigned allowances in MANA, letting them participate in the economy immediately. Funds raised in the token sale will be distributed as follows: 50% will be reserved for development, 20% for research, 15% for marketing and community development, 10% for operations and business development, and the remaining 5% for legal costs. A Continuous Issuance stage will follow the conclusion of the crowdsale event, allowing a decreasing percentage of the initial supply of MANA to be bought from the smart contract each year, with limited supply over time. Decentraland intends to protect the token from inflation by making users burn MANA to claim LAND. Decentraland’s Board of Advisors includes some of the industry’s most respected figures, including Aragon project lead Luis Cuende, CoinFund Managing Partner Jake Brukhman, and n3xt creator Diego Doval. Despite his young age, Aragon’s Luis Cuende is one of the most respected leaders in the blockchain industry. Luis was named the best underage European programmer in 2011, is a Forbes 30 Under 30, an MIT TR35, and was an Advisor to the VP of the European Commission. Luis was the co-founder of Tim Draper-backed blockchain startup Stampery. His project Aragon recently raised $25 million in ETH in a mission to disintermediate business by providing a platform for decentralized organizations. Advisor Jake Brukhman currently serves as Managing Partner of CoinFund LLC, a blockchain technology research company and proprietary cryptoasset investment vehicle operating since July 2015. In his present capacity, Brukhman advises prominent organizations including Kik Interactive, Aragon, and district0x. Prior to co-founding CoinFund, Brukhman was Partner and CTO at Triton Research, a technical product manager and engineer at Amazon, and spent over 5 years in the financial technology industry in New York City, holding positions at Kohera LLC and Highbridge Capital Management. Diego Doval is the creator of n3xt, an upcoming productivity platform. Prior to n3xt, Doval was CTO of Ning, Inc, helping grow the social network from launch to 100 million users. A computer science PhD specialized in self-organizing networks, Doval has extensive experience in the design and architecture of large scale web platforms, peer to peer technologies, mobile, and several other areas, contributing to projects or community resources such as the Andreessen-Horowitz AI Playbook, which he recently co-authored.